With the new e-training platform, the company Klöckner DESMA Elastomertechnik GmbH, Fridingen, brings expert knowledge about the topic elastomer processing on domestic PCs. With the web-based, interactive learning program, the machine manufacturer chiefly addresses the employees of its customers who are interested in advanced training or brushing up their knowledge without the rush of daily business. Special focus is set on machine setters and operators. In order to control modern manufacturing systems optimally and to take advantage of all opportunities, broad expertise is required which calls for continuous advanced training. Often there is not much time left to do so. Additionally, manufacturing processes are increasingly relocated close to the customer's site enabling, for example, to supply just in time. Here the focus is frequently set on the machine only, whereas the new employees are steamrolled by technical requirements. However, in well-established factories as well, there is demand for knowledge – even if it is just about brushing up long-forgotten details. 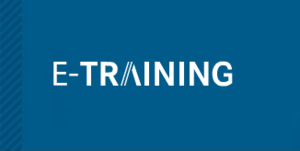 E-training provides registered users with access to state-of-the-art expert knowledge of elastomer processing. Understanding the roots of elastomer processing and the injection moulding technique is one goal. A great advantage is that the users are then able to directly apply this knowledge in their companies. The contents of this offer are continuously extended. Handling it is very easy. One can work through the pages like in a textbook. The descriptions and explanations are completed with numerous graphics and pictures as well as animation movies or videos. The expected time for learning is indicated at each individual learning block. If wanted, knowledge can be tested in a small exam. Another great asset of the bilingual (German/(English) knowledge platform is its availability worldwide. No matter where, whether at the domestic PC or on one’s way with the smart phone, the web-based knowledge platform can be reached globally. Only a access authorization and registration at E-Training@remove-this.desma.biz is required. Please contact our Customer Care Center. Errors in injection moulding – explanations regarding influencing factors such as gas entrapments, insufficiently cross-linked spots, cracks in the article (backgrinding) or premature vulcanization (scorch). and service products for you.